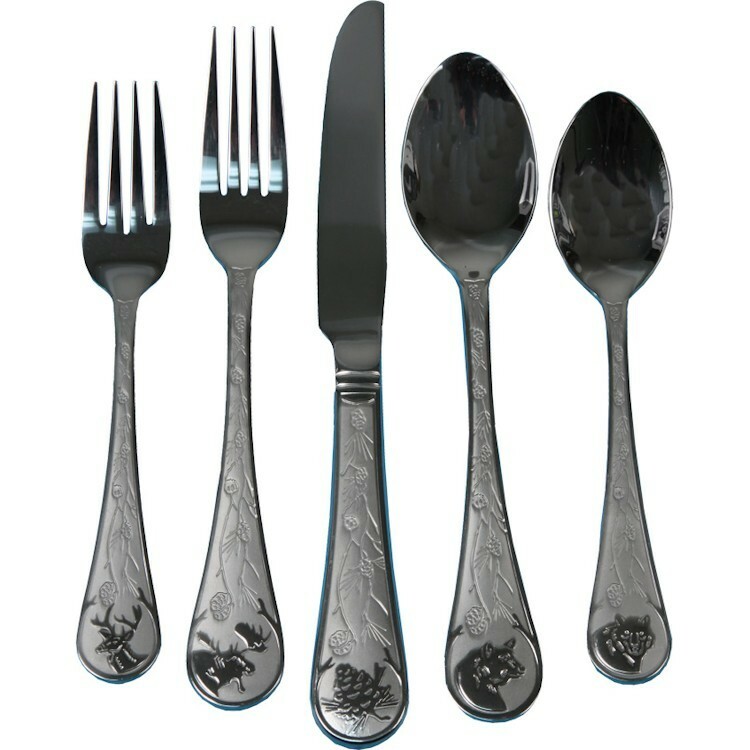 This heavy duty, durable Wildlife 20 Piece Flatware Set is perfect for special occasions or everyday use. Outdoor enthusiasts will love the hefty feel and beautifully detailed are ton the handles. Made of high quality Stainless Steel to last a lifetime, remain shiny and resist stains.